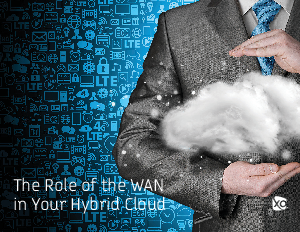 At the center of the hybrid cloud effort is your WAN. It's the thoroughfare for moving data, services, and sessions back and forth between users and resources. This means your WAN: must be highly available and secure;and needs to perform comparably to a LAN – meaning latency and packet loss needs to be managed. Taking a performance hit in order to use cloud services isn't acceptable: users don't care where the resources reside as long as they are readily available and do the job. Is your WAN up to the task? Download this white paper to learn how to ensure that your WAN is robust enough.